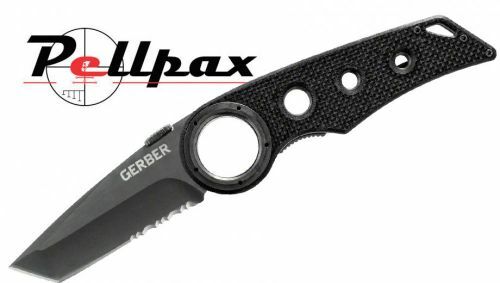 Home » Blades » Knives » Folding Knives » Gerber Remix Tactical SE Tanto Point Knife 3.14"
The Remix range of folding knives are some of Gerbers most sought after blades thanks to their ease of use and unfaltering reliability. The handle is made from a strong and lightweight G-10 composite that is resistant to breakages and is textured to improve grip and control. This Tanto point version of the knife is ideal for both slicing and puncturing and even contains a serrated portion of the blade to help get through tougher materials like wood or rope. Gerber Remix Tactical SE Tanto Point Knife 3.14"